Michael Raelert entered into his triathlon season with a great victory at Thomas Cook Ironman 70.3 Mallorca. 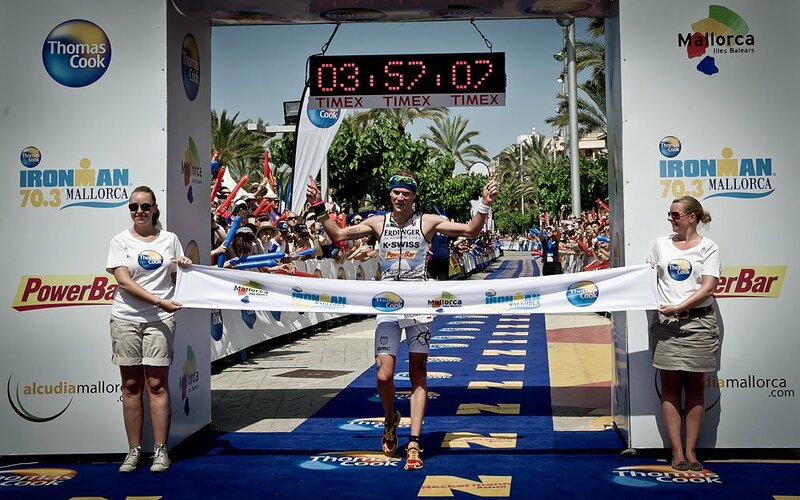 Under hot conditions Michael Raelert won the race in Alcudia in 3:57:08 hours ahead of Michael Göhner from Germany. Göhner who became second at the Ironman European Championship 2011 claimed the second position on the podium in 4:10:11 hours, Ben Allen from Great Britain was third (4:12:51 hours). “I’m really happy that I could win this race”, Michael Raelert said at the press conference after an absolutely dominating performance, “it showed me where I am at the moment and where I still have to improve.” The two-time winner of the Ironman 70.3 World Championship followed in the footsteps of his brother Andreas who had won the debut race in Alcudia in 2011. Especially on the bike Michael Raelert was the strongest athlete in the pro field. When Michael Raelert started his run he had already extended his lead up to more than 10 minutes. 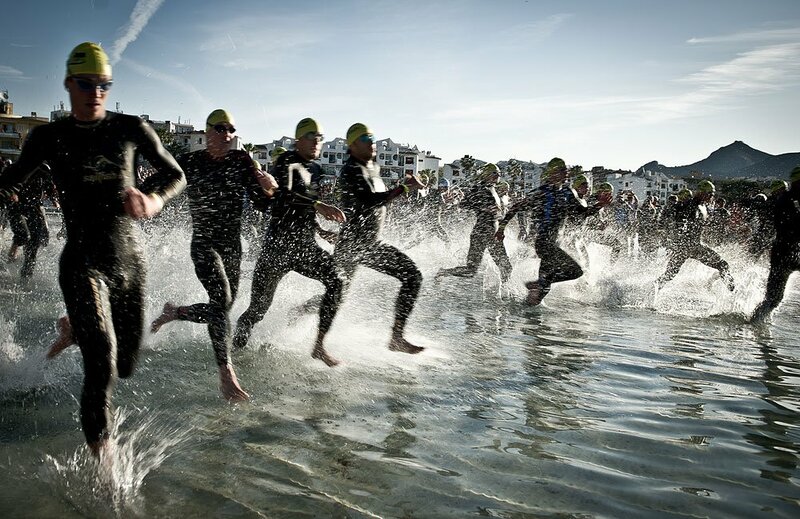 After the swim of 1.9 kilometers Michael Raelert in the Bay of Alcudia came out of the water in third position (24:39 minutes). At that moment Tom Vander Hoogerstraete was leading the race. Hoogerstraete had the fastest swim of the day in 24:35 minutes – he was ahead of Ben Allen from Great Britain (24:37) and Michael Raelert. In the transition to the bike Michael Raelert then took over the lead. "On the bike it was my strategy to go as hard as I can", Michael Raelert said at the press conference. From the beginning on he pushed very hard and set his own pace never looking back. In the long and challenging uphill section towards Kloster Lluc in the Tramuntana mountains he expanded his lead efficiently. "We had two different races", the second-placed Michael Göhner said after the race. At Thomas Cook Ironman 70.3 Mallorca Michael Raelert was leading his own race very early. Far ahead of the rest of the pro field he rode the fastest bike split in extraordinary 2:13:26 hours and ran the half marathon in 1:14:27 hours. 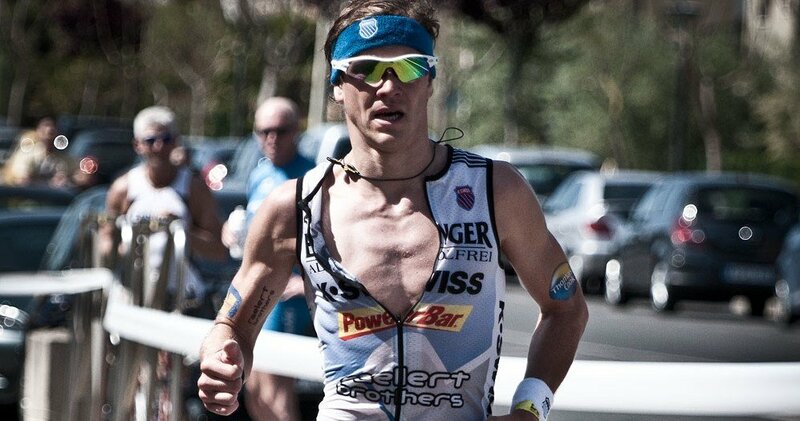 Andreas Raelert was also part of the Thomas Cook Ironman 70.3 Mallorca. He was the swimmer in a relay team of Thomas Cook. Andreas Raelert swam the course in 26:21 minutes and set the pace for his colleagues Volker Schmidtgen and Frank Busemann. The Thomas Cook relay team reached fifth place in 5:46:47 hours. Michael Raelert is the world’s fastest athlete on the Ironman 70.3 distance. Since November 14th 2009 he holds the world record - when Michael won the Ironman 70.3 World Championship in Clearwater in 3:34:04 hours. The two-time German champion on the Olympic Distance (2005/2008) joined the Ironman 70.3 distance for the first time in 2009 and remained undefeated on this distance for more than a year. In 2010 Michael celebrated the double: winning the European and World Championship in Ironman 70.3. In 2011 the two-time Ironman 70.3 World Champion had to postpone his Ironman debut due to an injury by one year. Michael Raelert was born on August 29th 1980 in Rostock.